FTC Decarbonizer makes a measurable difference to increase power, torque and fuel economy…and has been observed on dozens of carefully controlled laboratory dynomometer studies. 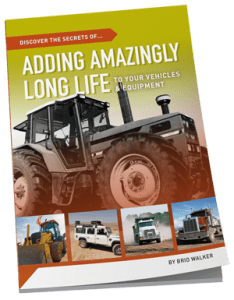 Maximizing performance and economy without any mechanical modification can also be achieved by reducing frictional horsepower losses through engines, transmissions, differentials/final drives, etc. Up to 25% of an engines horsepower is lost to internal friction. This means that a 225HP engine actually develops 300HP in the combustion chamber, but loses 75HP before it reaches the flywheel. A further 10% can be lost through the drive train, depending on how many components are involved. Clearly, that friction cannot be reduced to zero, but there is certainly room for improvement. 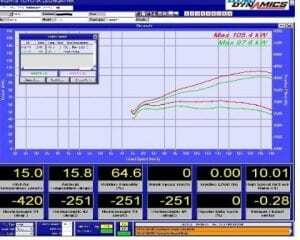 AW10 Antiwear use in engines alone has demonstrated a 6% increase in power in a Commodore, and 13% in an old Navara diesel on the dynamometer. Added to drive line components, it releases additional usable horsepower. Several automotive dealers and many mechanics now deliver the And the word of mouth from delighted customers results in more business, with zero advertizing costs. Fuel system deposits accumulate fairly quickly, and small amounts cause deterioration in economy and performance. 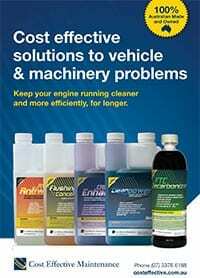 Cleanpower restores pristine cleanliness to fuel system components to restore and optimize fuel efficiency. FTC Decarbonizer is used widely in the mining, diesel power generation and road transport industries to produce fuel efficiency gains, even in brand new engines. Toyota Hilux 2008 (Common Rail Diesel). Knight’s Toyota (Leongatha, VIC) performed a dynomometer test on this Hilux just before servicing, and again after flushing the engine with Flushing Oil Concentrate, and boosting the oil’s lubricity with AW10 Antiwear. Rear wheel horsepower increased from 97.6kW to 105.4kW… an increase of 8%, by simply reducing internal engine friction!! Rigid Tip Truck with 6V92 Detroit Diesel. (K. Wright NSW). The truck does all on site work, and had coked up badly from it. 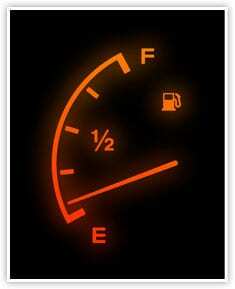 As a result, fuel consumption was down to 1.69km/L. Power and economy was restored over the next 3 tanks of treated fuel…1.96km/L, then 2.12km/L and then 2.45km/L. Other trucks on site used to pass me, but now I leave them for dead! “We just got back from a month traveling to, from and around Tasmania. I must tell you how pleased I was at the performance of the motor. First thing was the wife noticed how quiet the bus was, and that, in itself, is testament to something. As we progressed into our journey to Melbourne (1682kms), the engine was going from strength to strength. We went up Cunningham’s Gap like never before. On the flat country of the Newell Highway we were cruising on the speed limit of 110kph. In fact, I had to hold it back from 120…darned amazing, since before the treatment we were flat out at 98kph.